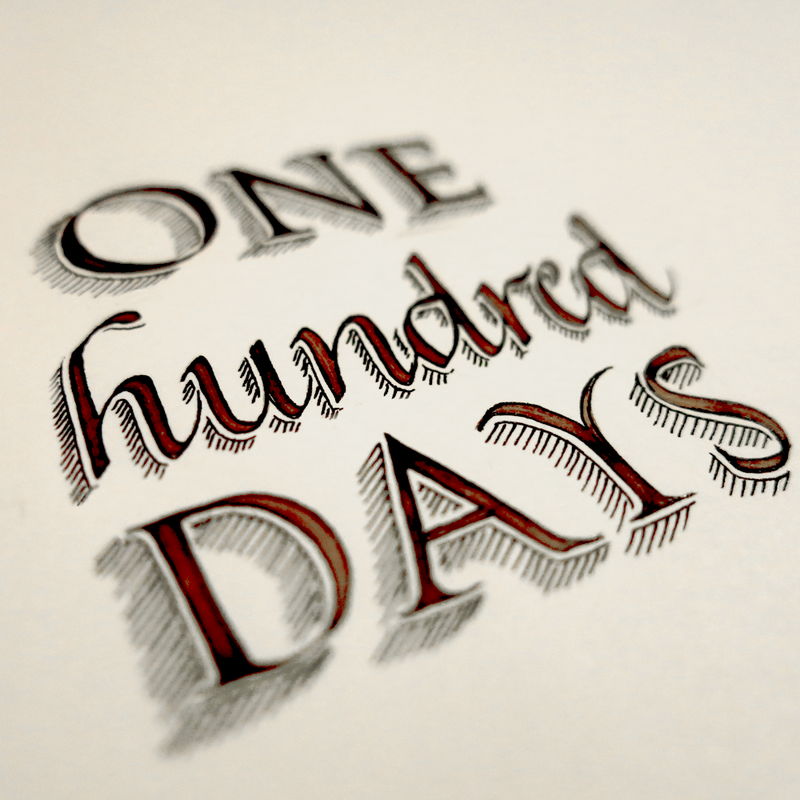 Do something for one hundred days! Recently, I’ve been making an effort to focus on consistency in putting my work out there. If you come to this blog frequently, you may notice that I post one piece a week without fail, and have been doing so for over a year now. I decided to take this attitude a bit further, and post one piece a day, every day, on my Instagram account. So far it is going well, as you may have read in my last week’s blog post. Just under a week ago marked the one hundredth day of posting a picture a day, and I’m nearly through posting the backlog of pieces that I built up in making this blog. Complex pieces are the kinds of things that take days to execute, and often spend weeks in the concept and design stages, so it’s not possible to post one brand new large piece every day, so there may have to be a little more emphasis on glamour shots and progress pics from here on out, but I’m planning to keep up the consistency. For me, self promotion is not something that comes naturally, so my decision was to make it something to focus on. Posting my work on Instagram seemed scary, and I felt like I would rather stick to my nice, familiar blog format, but now that I’ve done it for 3 months, I have no intentions of stopping. 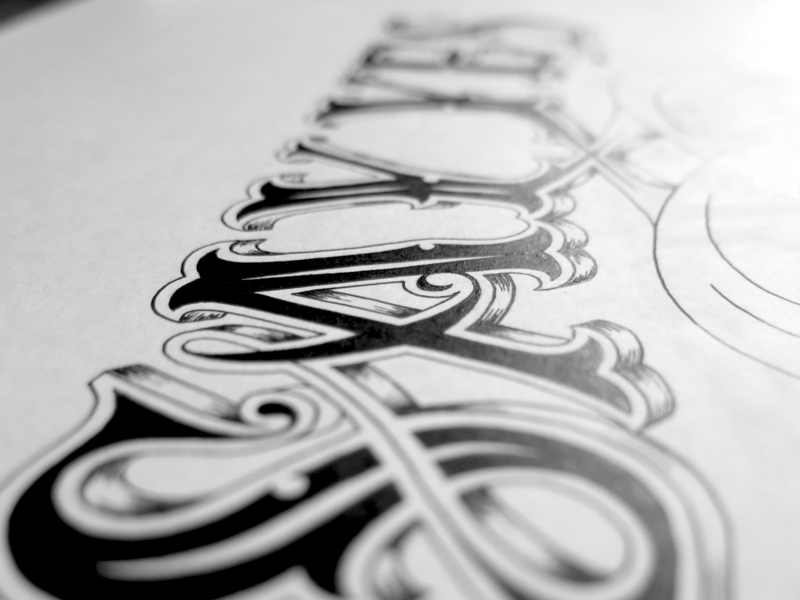 A little on the piece: it’s a mix of calligraphy and lettering all in one. 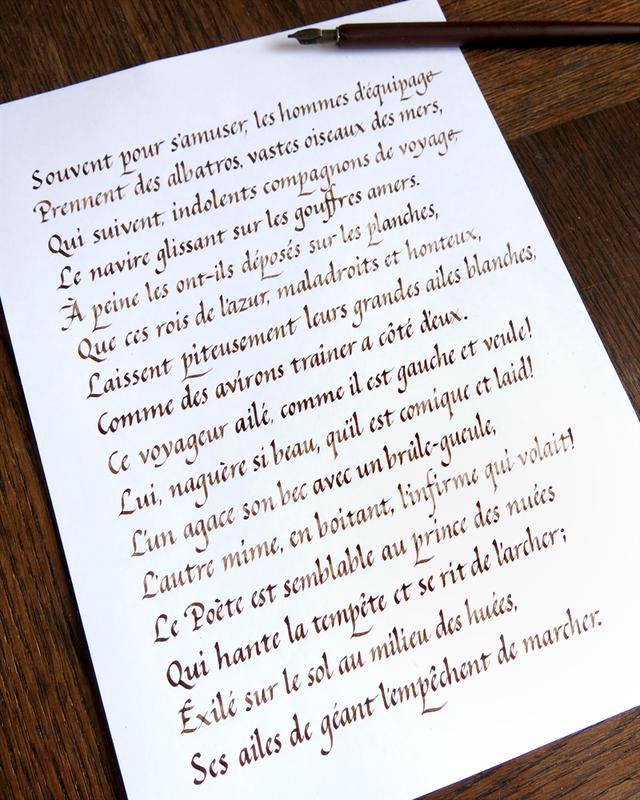 The calligraphy was done in walnut ink, which gives the rich colour and variation in tone. 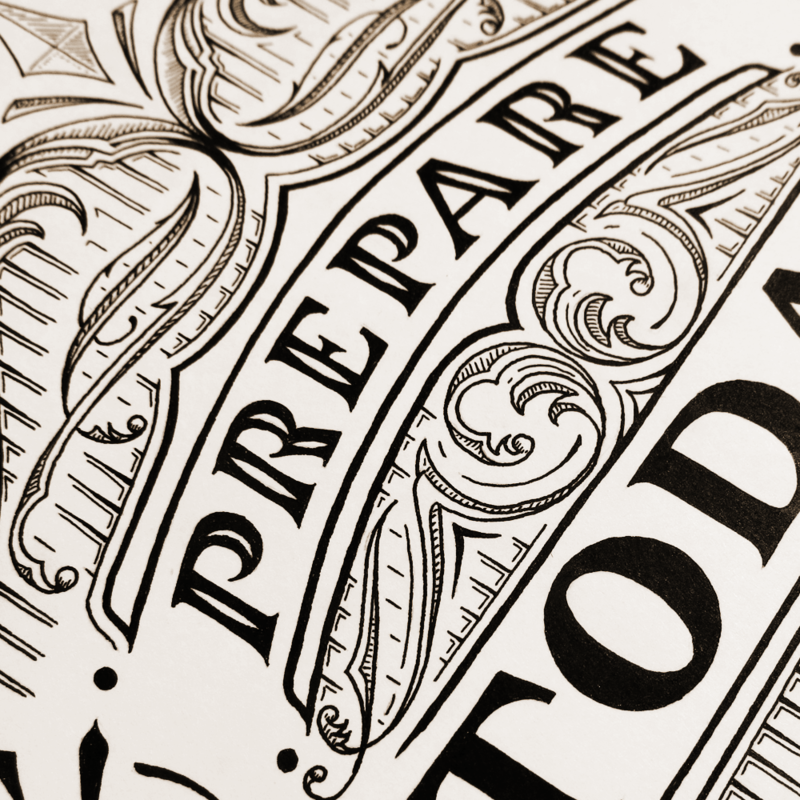 Then I used my lettering tools to outline the calligraphic forms and add some ornamentation. Stylistically, Italic and Romans complement each other very well, so much so that in practically all typefaces, you will find italics used in conjunction WITH THEIR ROMAN COUNTERPARTS. 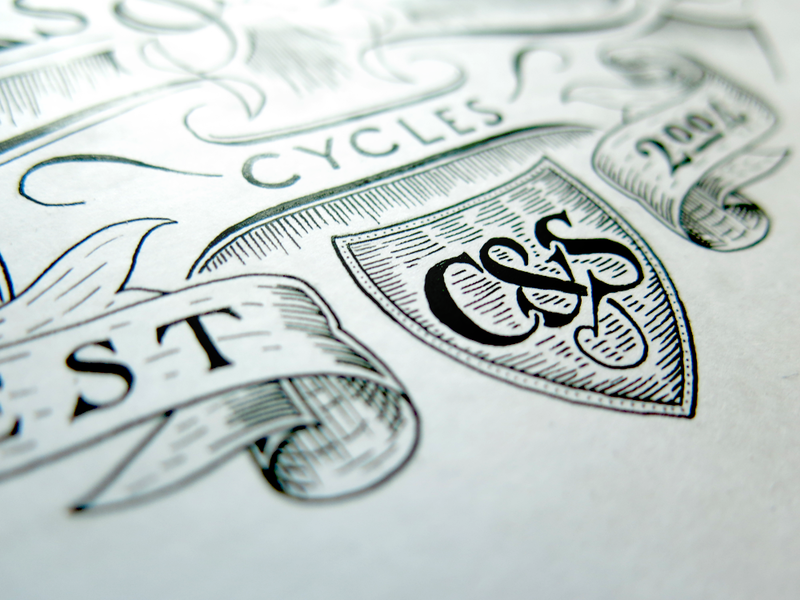 Each is considered an essential element of typography and letter forms. The only difference here being that these are the root forms, the source from which the typography was inspired, though most might not know it, and even hearing the word “italic” would first think of the typographical meaning of slanting letters rather than realising that it was first the name of a script. So, a little challenge for you: consider a habit that would benefit you, or that you would like to be able to have. Once you have decided, do it for one hundred days. You may find that it’s easier than you think, but one last thing: don’t tell anyone until you’ve finished! One of the first lettering pieces I ever did was the phrase “correlation does not imply causation”, a piece which has since been lost in moving house, and is probably tucked away in the pages of a notebook hastily thrown into a box with the word “misc.” on the side. This week I decided to revisit the idea that inspired the first piece. The phrase deals with a logical fallacy that leads people to think that because two things happen together that one causes the other. Similarly, it’s easy to think that because one thing happens after another, the first causes the second. This fallacy is called “post hoc ergo propter hoc”, or after this therefore because of this. Enough of that though, let’s get down to business. The interesting element of this piece, for me, is the Romans. 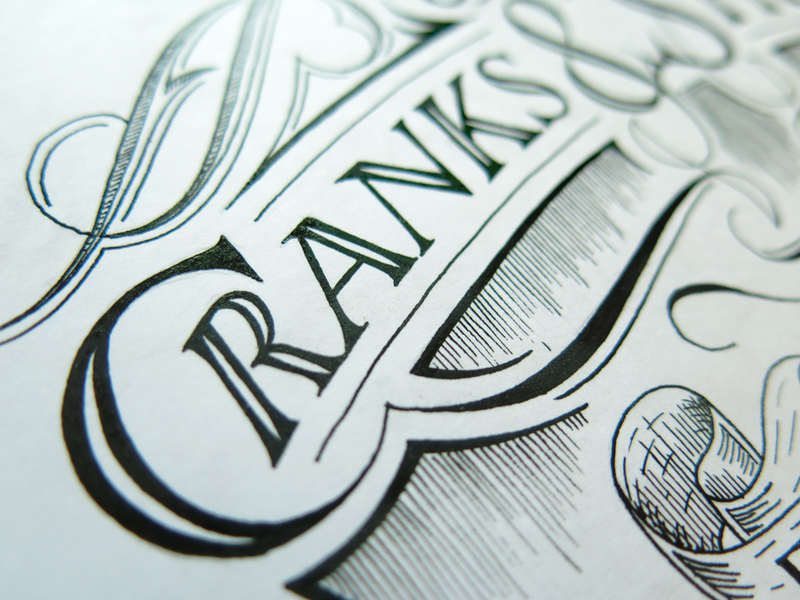 The Copperplate may look flashy and the flourishes fancy, but when it comes to execution of a perfect letter, nothing provides the challenge, the depth and the satisfaction that Roman capitals do. Recently, though my study of Romans, I’ve been examining something called entasis. Entasis is best know for its applications in architecture, some of it (surprise, surprise) by the Romans. The meaning of the word is a slight curve applied to something that looks mainly straight. When it comes to architecture, it was used to combat a strange optical illusion: perfectly straight columns have a tendency to trick the eye into seeing a curve where there is none. A slight bulge added to the columns is said to do away with the phenomenon and give the impression of straightness. 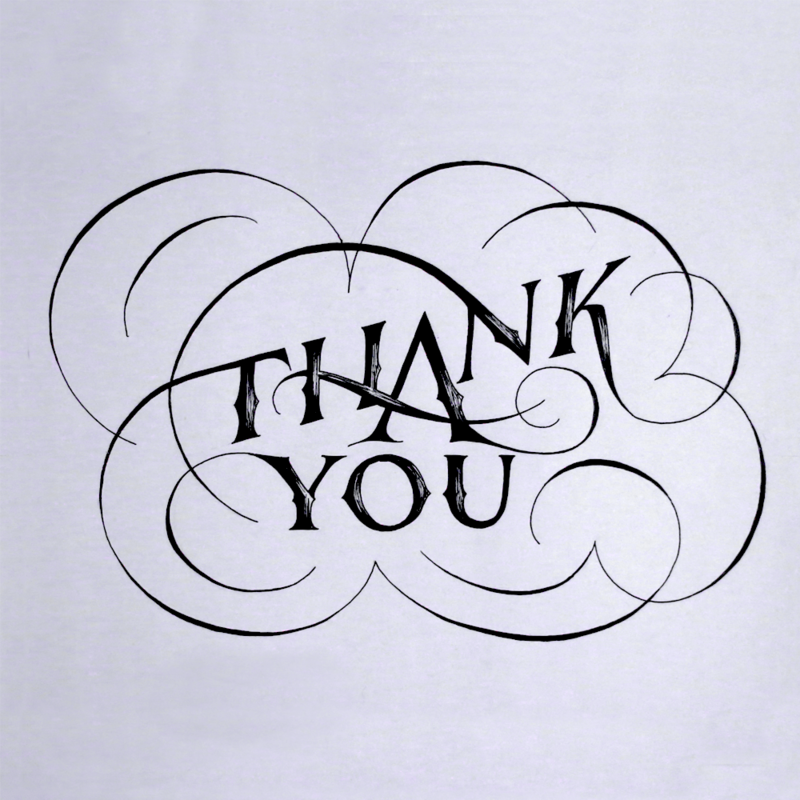 In terms of calligraphy, however, the entasis is applied to the negative space between the letters. That is to say that the upright parts of the Roman capital have a thinning in the centre and widen towards each end. The execution of this with a broad nib or brush when doing calligraphy is a delicate manoeuvre and the effect is meant to be subtle. As this piece is also part of my study of entasis, I also kept the letters as close to traditional as I could, with understated serifs, a long crossbar on the E than you would see in a lot of modern work, and an open P.
Over the past few days I’ve been toying with the idea of starting to include more Gothic/Blackletter styles in my lettering after some study of their forms in calligraphy. As with all forms, I’m sure there is much to learn to inform future lettering pieces, so be on the look out in the future! Here’s a little piece I’ve been working on lately. The phrase is “Say Yes”, which is something quite nice and simple. The words also lend themselves to a neat symmetry, being almost the same as each other when reversed. This leads to a mirroring of the S’s at the end and an uncommon formation of double Y’s in the centre. The Roman Y is an interesting letter. If it were to have no stroke weight, it would be a symmetrical letter. 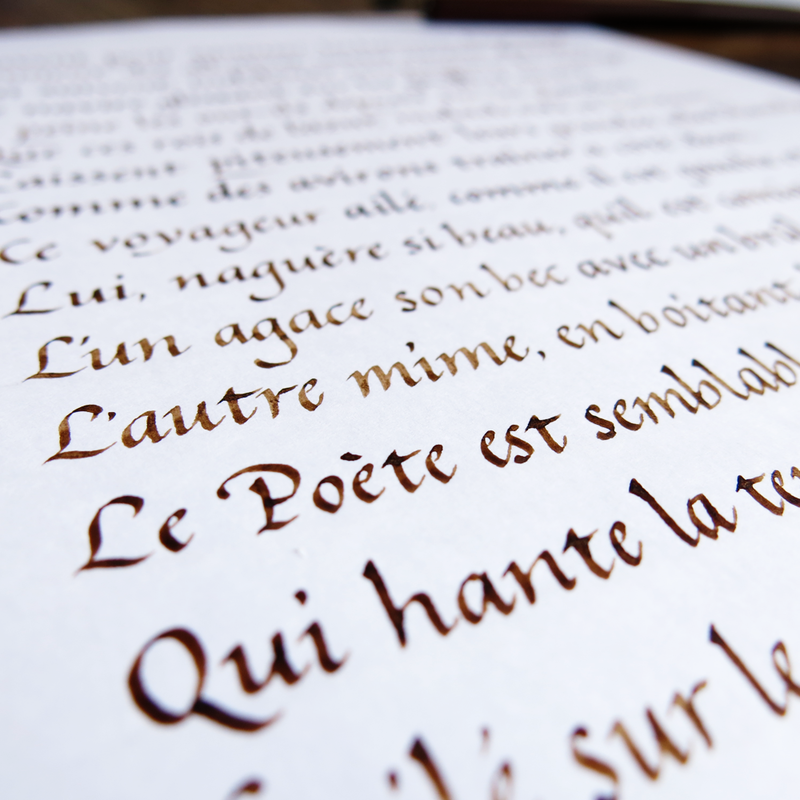 However, due to the calligraphic roots of all letters, there is a difference between the thickness of the branches. The result is that the branches come off the stem at slightly different places, though here it’s slightly obscured by some of the ornamentation. Because of the asymmetry, the negative space between them is also a little asymmetrical. The execution of a piece like this can be tricky. Most of the ink is simple to put down, especially blocking in the centres of the letters. The finesse comes when creating the 3D effect. 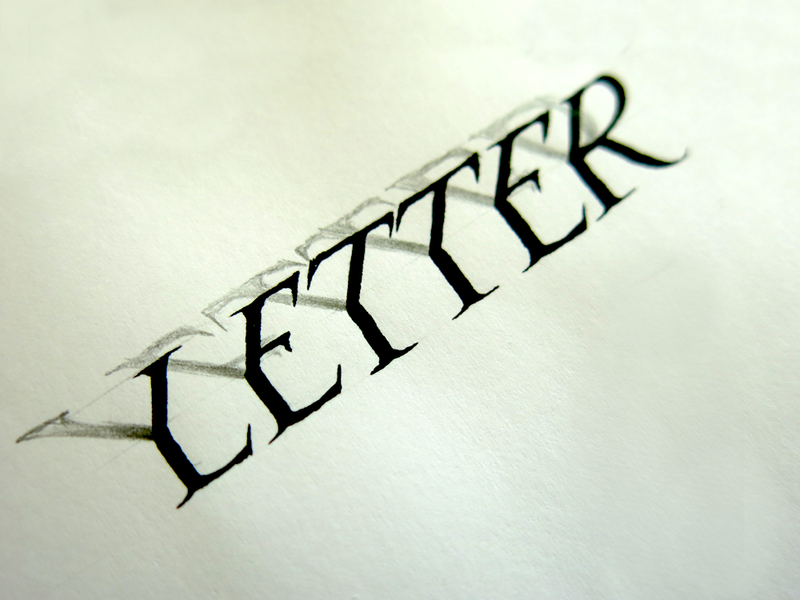 The seeming shininess of the sides of the letters is created by many tiny pen strokes. I use Rotring Rapidographs to do my lettering pieces, and one advantage of these pens is that they always produce a line of constant width. This is a great asset when you want consistency across your piece: no matter how hard or lightly you press, or what angle you hold the pen at, you always have the same result. The trouble comes, then, when you want to make a line of inconstant width – a tapering line. To create the effect in this piece, the lines were created with a quick sweeping motion in lifting the pen from the paper so that the ink flowing from it thins as the tip of the pen pulls away from the surface. The problem with this is that to create a tapering form, the lines must be drawn with quite some speed, and the faster the movement of the pen, the harder it is to make each line conform with the curves of the letters, some sharp, some smooth. Above is a close-and-personal shot of the first letters. The style of the letter forms in this piece was partly inspired by Tuscan typography, which people might associate with circuses, saloon bars and rodeos. Some of the easiest features to notice are the serifs almost reminiscent of a cowboy boot and the spur and eye ornaments midway up each letter. Along with the Tuscan influence, the piece is informed by my studies of traditional Roman Calligraphy, pointed pen flourishes and a little of my own personal lettering flair. Here’s another case study that I did recently. 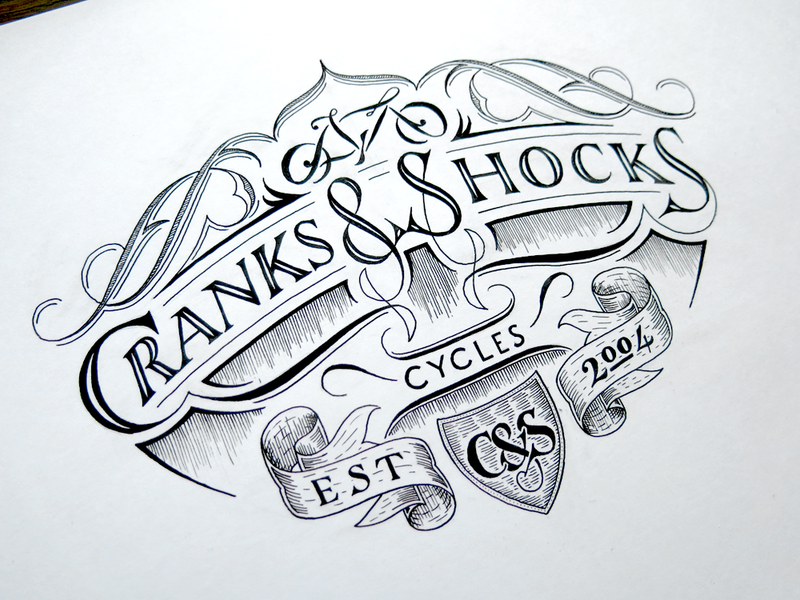 The brief was a bike shop looking to incorporate some stylishness to their brand, and also include an antiquated feel. An establishment looking to up their game and cement their position as a permanent fixture on the map, while catching more eyes with something that gives a more unique feel. Flourishing is something that didn’t make it into my repertoire for quite a while. When we start something, we are often ignorant of the depth of it. The way we appreciate something deepens through understanding, and so it’s not surprising that when we don’t have a good understanding it can be hard to appreciate something on more than a superficial level. 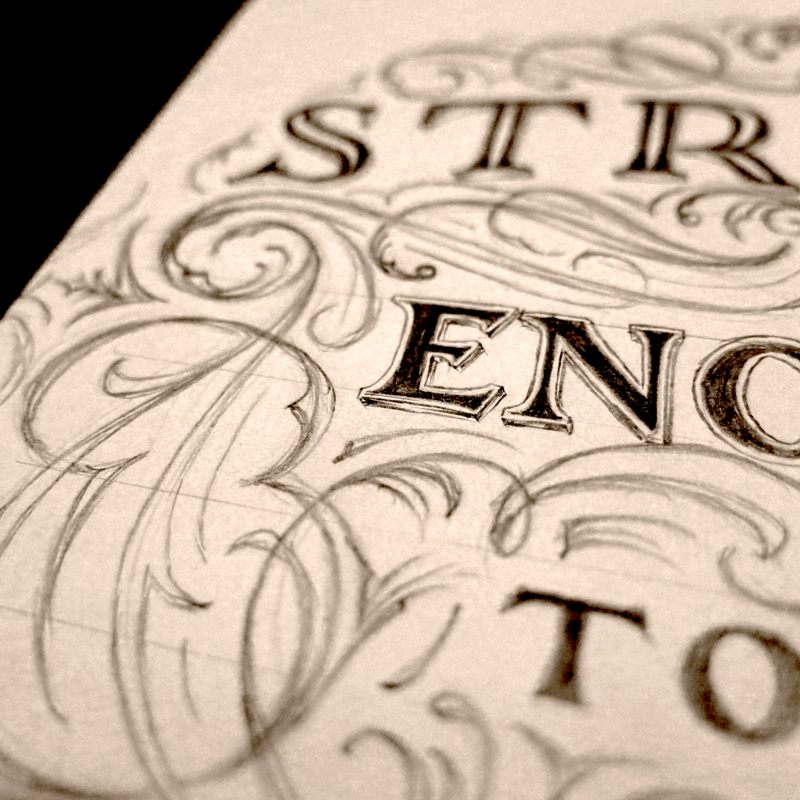 In terms of lettering, most start out with the desire to understand and create letter forms. 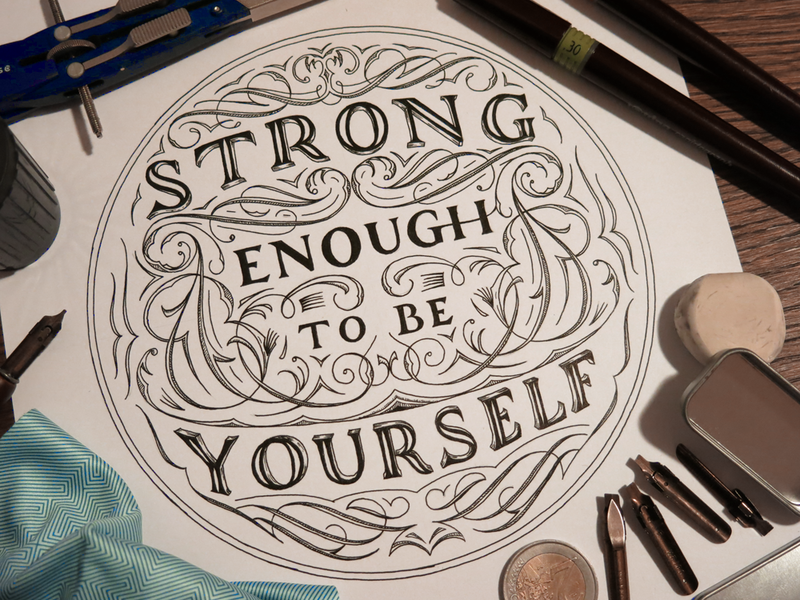 Of course, that must be what lettering is all about, mustn’t it? I mean, it’s in the word. Soon, however, you come to realise that the letter forms only work if they are structured well, and so you start to learn about hierarchy and composition. Similarly, flourishing is something that I have been concentrating on lately as an area of study which can improve the pieces I make. If you look back at older pieces, such as The Greatest Victory, which was a piece that I made when I first started to consider the composition of a lettering more, you might notice that the flourishes seem uncomfortable and don’t really know what to do with themselves, almost like teenagers who have grown too fast and haven’t relearned how to use their limbs. They’re there because they are necessary, to an extent, but don’t quite serve the purpose they were created for. Since then, I’ve learned a lot through my study and have applied some of it in this piece. 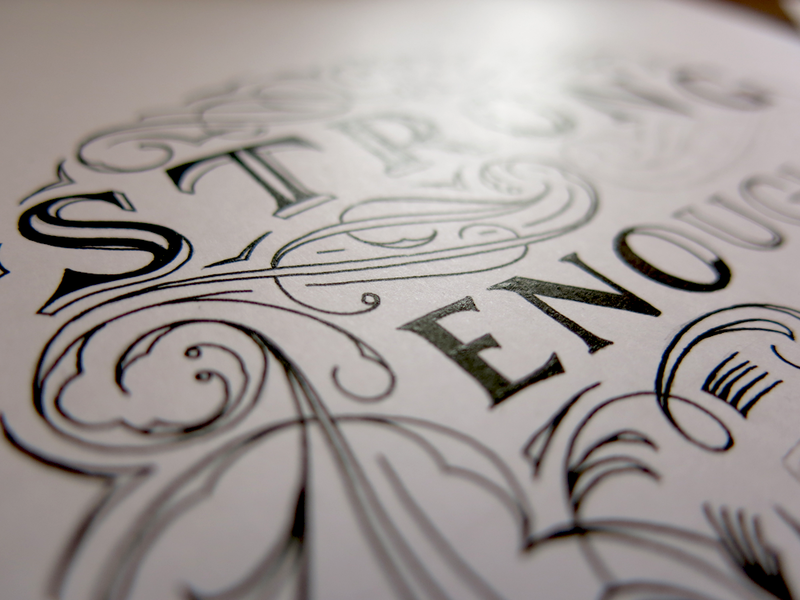 The piece started just as a sketch of the word “strong”, as I had wanted to try out an certain 3D effect on some letters. I thought of the full phrase and planned out a little more of the structure. From there, I decided to do a little exploration of the space between the words, so, loosening up my arm, I started designing the flourishes using larger gestures controlled by the shoulder muscles rather than the fingers. 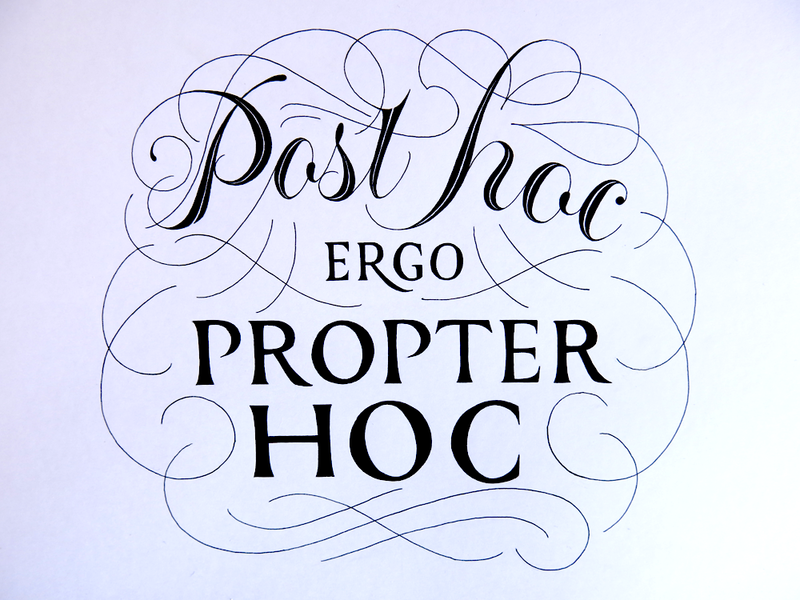 This advice of using shoulder muscles, often given to those learning calligraphy, can seem daunting to beginners, but when designing flourishes, it really needn’t be. Any detail work or corrections can easily be made later, as graphite is far more forgiving than ink. 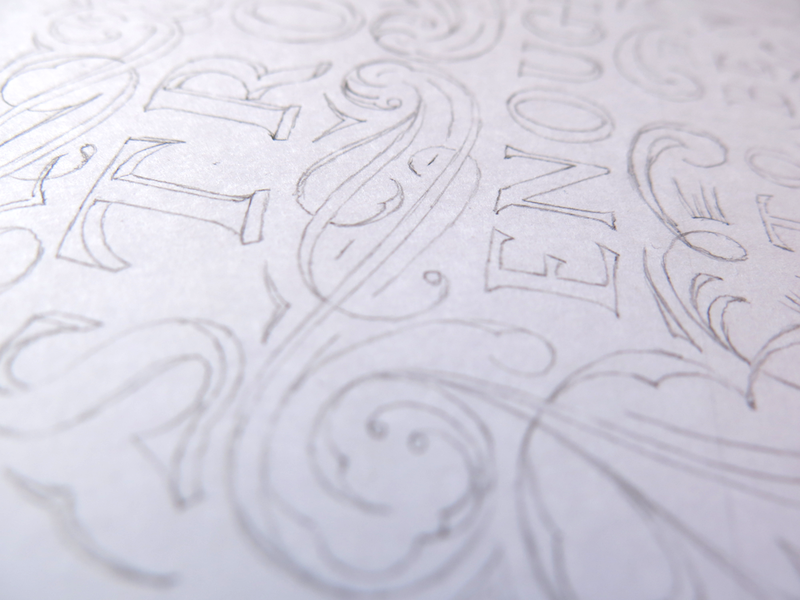 One of the most key elements in flourishing is to pay close attention to the negative space. It’s important that no one area becomes too dense, nor too sparse. A roughly equal distribution is attractive, though some variation is pleasing too. Once I was happy with the design, I took from the sketchbook to the paper for the final piece. When it comes to a symmetrical piece like this, it’s convenient to flip the reference material (in this case, the original sketch shown above) so that there aren’t too many irregularities when comparing the two sides.